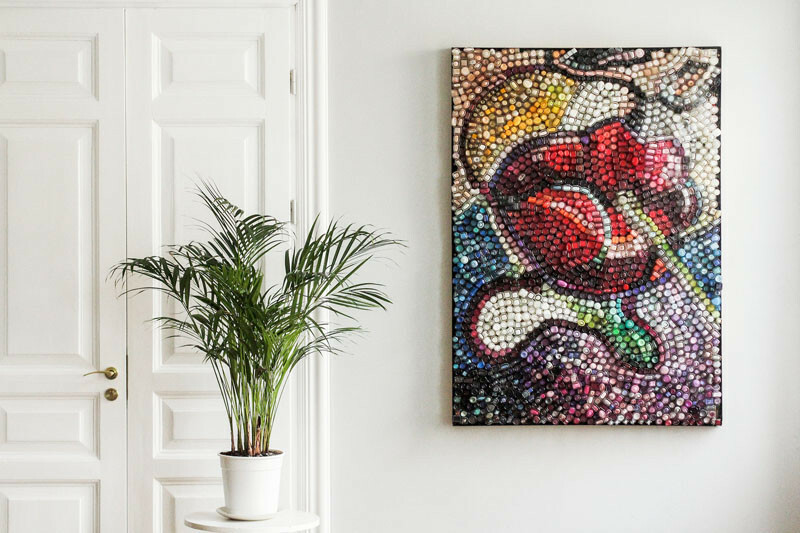 Lithuanian artist Agne Kišonaite, has shared with us how she created her latest artwork using used nail polish bottles. 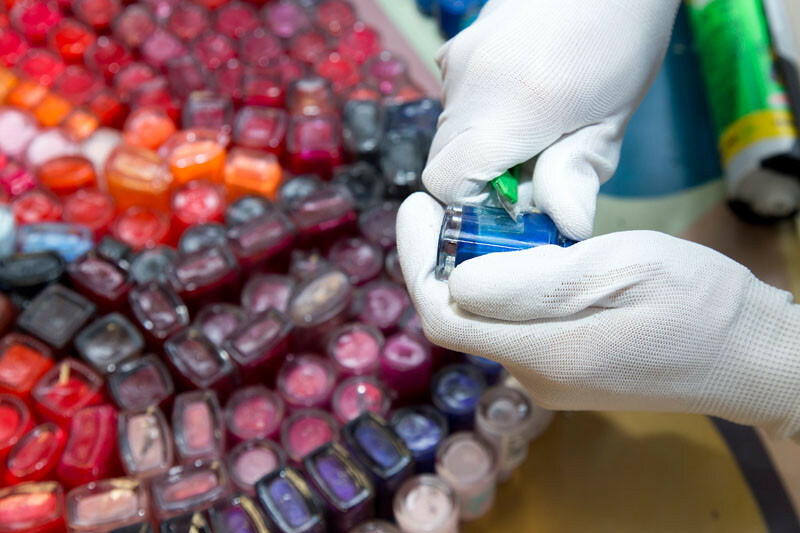 While she was painting her nails, she thought to herself how playful the colors were that can be seen through the thick glass of the bottles. 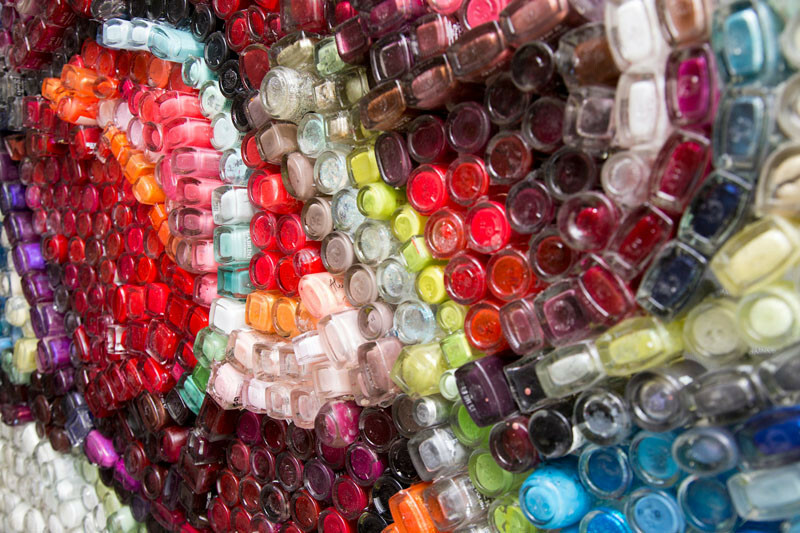 Then it hit her, she could make an art piece using the nail polish bottles to create a sort of mosaic art piece. 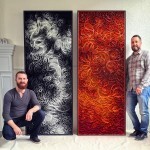 First Agne made a painting that she would base her finished piece off of. 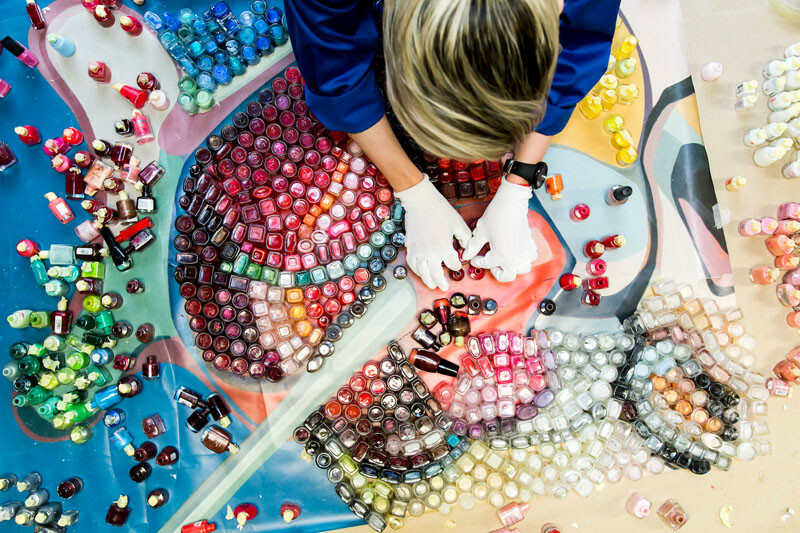 Next, she collected over 5,000 used nail polish bottles from various places, and began sorting them out into 21 different color shades. 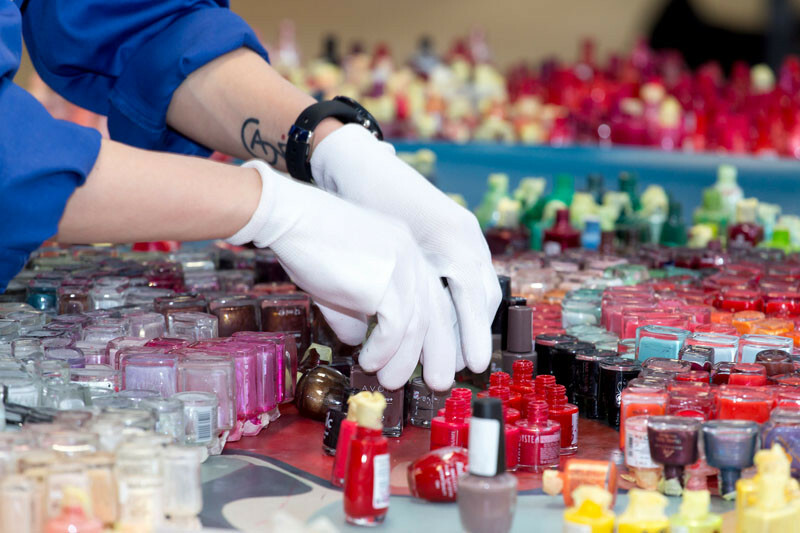 Then Agne had to empty the bottles of any leftover nail polish. 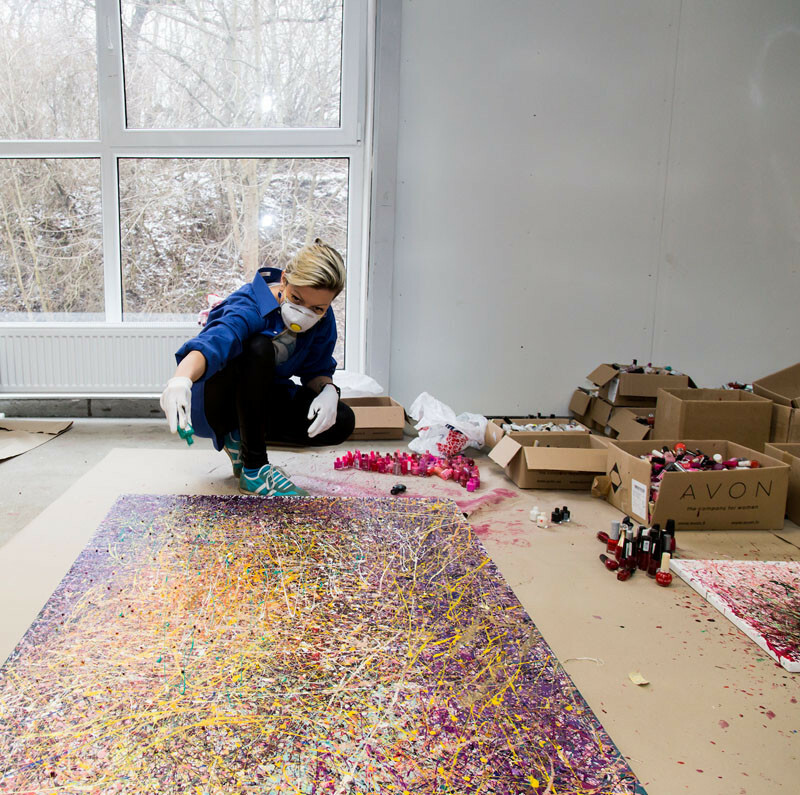 Instead of wasting what was essentially paint in the bottles, she emptied them onto various canvas sizes and they turned into Jackson Pollock-esque paintings. 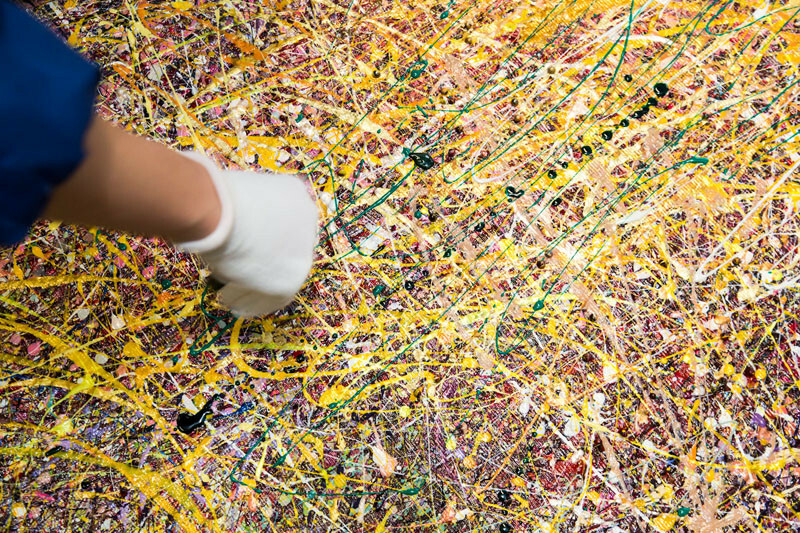 A closer look at the splattered artwork that’s just a by-product of the main piece of work. 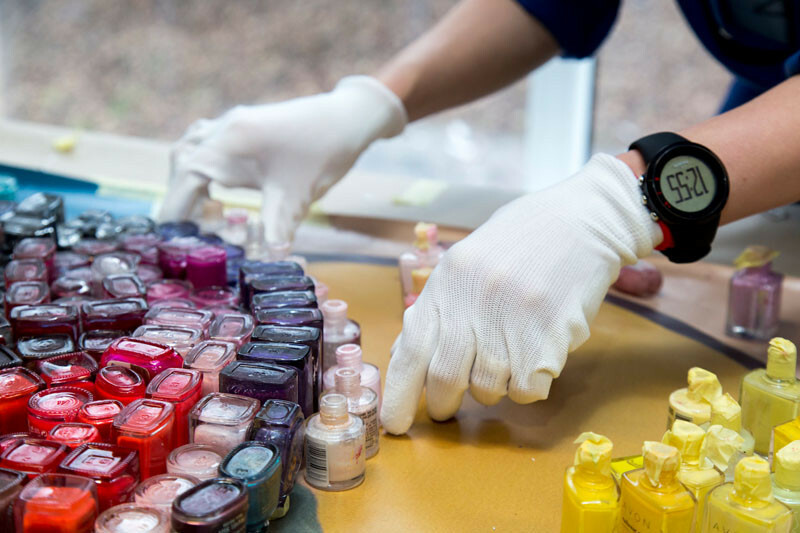 The next step is to carefully position all of the nail polish bottles onto her original painting. Once everything is positioned, the labels have to be scraped off. 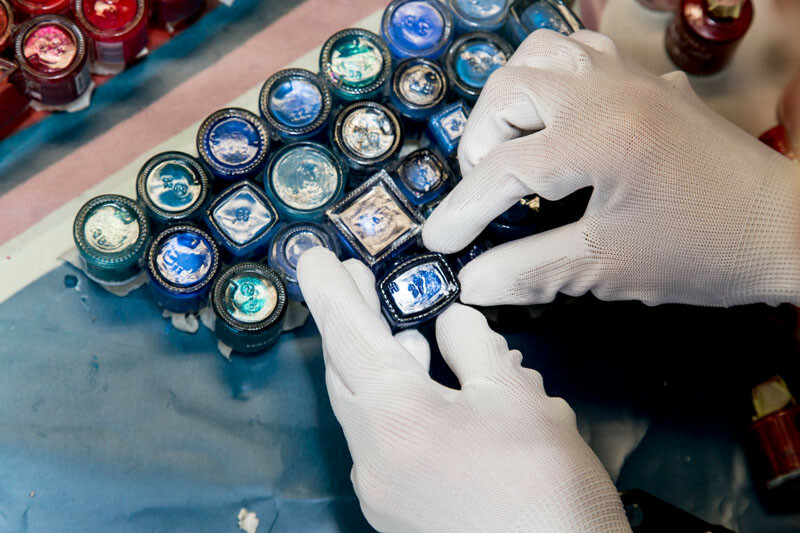 Then comes the delicate task of attaching each of the bottles to the artwork. 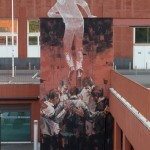 Here you can see the piece really coming together.